Everyone I meet sees the time that PowerCLI can save you by automating your day to day tasks, easily creating reports, troubleshooting your environment and much more but to use PowerCLI you first need to take the time to learn it, this can be achieved in a variety of methods but still the most popular is reading a book and putting it into practice. There is a new book now available with the latest up to date information, it was written specifically with the vSphere Admin in mind and shows how you can easily get started using PowerCLI. The book was written by community member Robert van den Nieuwendijk and published by PACKT. The book is available in all good book stores and online book retailers such as with Amazon here. Whats more you can take a look inside the book to see if its for you here. 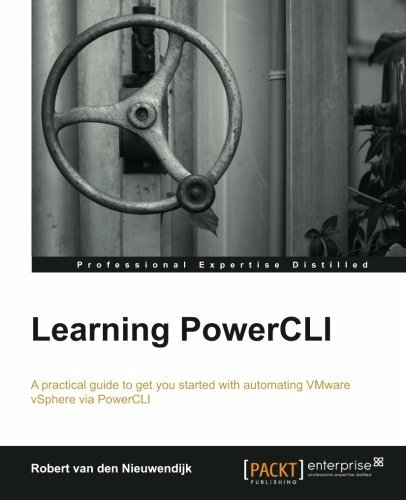 PACKT and Robert were kind enough to give VMware 5 copies of the book to give away here, in order to win a copy all you need to do is add a comment to this site (make sure you include your email address) telling us why you need to learn PowerCLI. Entries will be judged by Robert and chosen by March 14th 2014, once chosen you will receive an email with a link to receive your copy of the book. 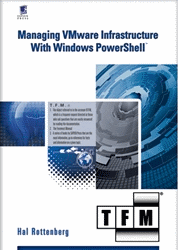 This entry was posted in Learning and tagged book, PowerCLI, PowerShell, VMware on February 28, 2014 by Alan Renouf.